Firefox might not be on the top of the world anymore, or hasn't been for years now, but they are trying all kinds of tricks to turn the ship. The latest is a virtual reality browser by the name of Firefox Reality. Obviously, as the the name suggests, the browser is a Firefox version designed for the virtual reality, and to be used with VR headsets. Mozilla is planning on further developing Firefox Reality to be compatible with AR glasses as well, perhaps thus the name that doesn't exclude any type of extended reality. 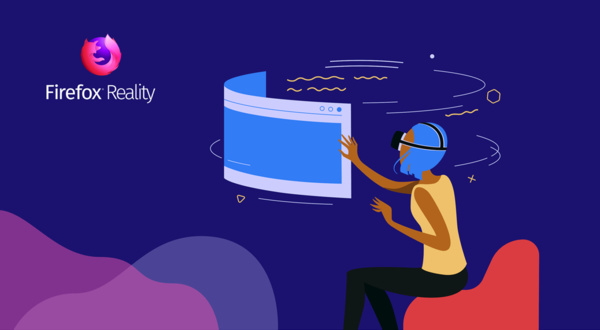 Currently Firefox Reality is only available for specific VR platforms, including HTC Vive, Oculus and Daydream headsets. You can download it from the app stores of aforementioned platforms. Future installments are planned to support at least Microsoft HoloLens as well as the new competitor to that, Magic Leap One. Most of the web is obviously two-dimensional, so that will be displayed as a sheet of paper if you will, but Mozilla says the browser supports also immersive web content. Firefox Reality supports both virtual keyboard input, which is never optimal, as well as voice commands. The version number is currently only at 1.0 so expect improvement in terms of bookmarks, 360 degree videos and others coming in the future. You'll find more about Firefox Reality at Mozilla's official blog.